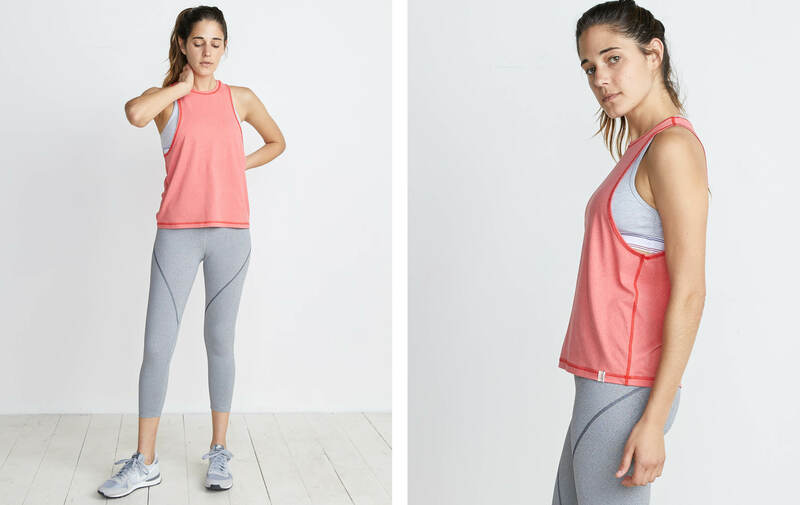 We've figured out the most flattering sports tank. It's this one. It has a high neck with cutaway shoulders to show off your sports bra. Also featuring custom twill tape and tonal stitching for a little subtle branding (no swoosh here, folks). Ally is 5'8'' and when she's not serving up looks, she serves up coffee via her own roasting company called Canyon Coffee. Check 'em out.